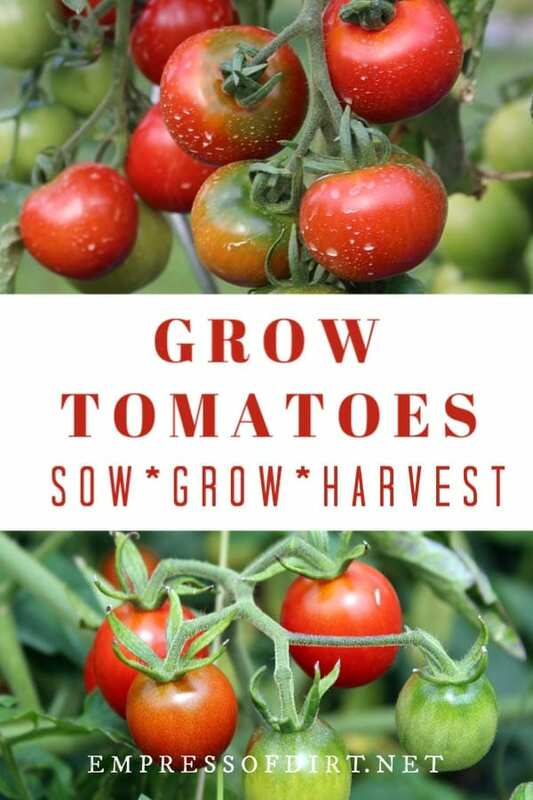 There are a lot of misleading tips about growing tomatoes, but, if you stick to these proven basics, you can grow everything from cherry to beefsteak, heirlooms and hybrids, in patio containers or in your garden. If you are growing tomato vines that get really tall or produce large fruit, we’ve got you covered with a tutorial on how to build a wooden tomato cage. 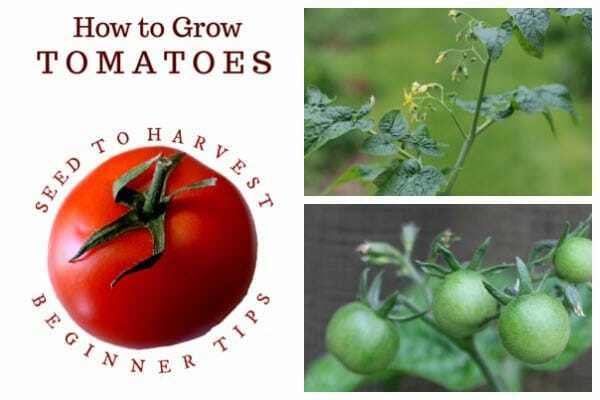 Tomatoes 101: A Quick-Start Guide for Beginners provides all the basics for understanding and growing tomatoes in your home garden. It is very helpful to know which basic type of plant you are growing—a bush type (determinate), or vine type (indeterminate), so you are prepared to provide the right support (stakes, cages), and care through the growing season. It also includes tips for best growing conditions and care. These ten tips before planting tomatoes will let you avoid some common mistakes tomato growers regret. If you are growing tomato vines that get tall or bushy with long stems, you’ll need support to prevent breakage. Once the fruit starts forming, it’s a lot of weight on those shoots! This shows how to build a nice, sturdy tomato cage from wood. There is a lot of contradictory information about pruning tomatoes and removing (what we call) suckers. As you develop an eye for your plants, you’ll start noticing when pruning will help. Some gardeners never prune their tomatoes, others are snipping and clipping every other day. This has the basics on pruning tomatoes and sucker removal. Like just about anything in gardening, there are many ways to do things. This is an old-fashioned way to save tomato seeds for growing next year. Tomato seeds have a protective coating on them which (smartly) prevents them from germinating or rotting inside the fruit. This easy method for saving tomato seeds removes that coating through simple fermenting. 1 Can I grow tomatoes in pots? Yes. I grow all my tomatoes in pots. Choose a container that is at least 12-inches wide and 12-inches deep with drainage holes and use organic potting mix made specifically for growing vegetables. Add support stakes or cages at planting time, otherwise you may damage the plant when trying to add them later. 2 Do you have any tomato growing secrets? For a home gardener, the basics are always providing the right conditions for the plant. Tomatoes love sun, most need support (cages or stakes) unless they are small, bush tomatoes, and fertile, well-draining soil is key. You can enrich your soil with good compost and also use a slow-release, organic fertilizer. Watch out for the misinformation that is all over the internet. Any tomato growing tips that claim a fast-track to success are completely misleading. There is no evidence or scientific facts behind all the crazy claims involving Epsom salts, baking soda, sugar, coffee grounds, eggshells, and so on, as magical soil amendments when planting tomatoes. 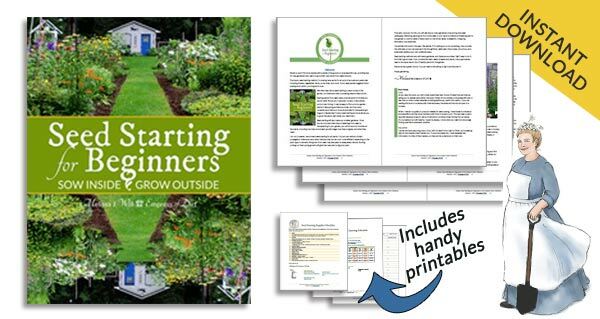 Spare yourself the wasted time and energy and just stick to good gardening basics. 3 Can I grow tomatoes indoors? Not easily. If you’ve seen commercial greenhouses that grow tomatoes, it’s a controlled setting with very specific growing conditions. That’s not easy to replicate in your home. That said, I have had some success growing small bush tomato plants in my home under grow lights. But that was more to see if I could. It never provided more than a few tomatoes, although it’s fun to try. 4 Can you grow tomatoes from slices? Yes. You can grow tomatoes from slices or just by leaving a whole tomato out to rot in the garden if the seeds are viable and conditions are right. Keep in mind that the seed type will determine what grows: heirlooms and other open-pollinated seeds will grow plants like their parents (unless cross-pollinated). Hybrid seeds may not produce anything like their parents. That said, you can bury a slice of tomato in the ground and some tomato seedlings may sprout and grow. The problem is, because tomatoes are sun-lovers, they grow at during the warmest months of the year, so most of us start our seeds indoors or buy ready-to-plant plants to get a jumpstart on the season. Seeds germinating from slices may take a long time to sprout, and by the time they are growing in to plants, the warm season may be over. Could you grow tomatoes from slices indoors? Yes, but same thing. It may be very slow. But, as a fun experiment, I say, go for it. Every year I toss a bunch of end-of-season tomatoes right back into my garden beds and some of them always sprout and grow plants the next year. 5 Are tomatoes easy to grow? I give tomatoes a 6 out of 10 for ease of growing. If you buy a small tomato plant in a basket, provide a sunny location, and keep up with the watering, it will probably be as easy as can be. If you have one of those summers with a lot of rain and humidity, you might encounter tomato blight, or other fungal problems, which is a total drag. Some gardeners also have relentless problems with critters eating their plants. That said, if you’ve covered all the basics (right location, soil, care), provide support (cages or stakes), and prune smartly, sure it’s easy. And very rewarding.